Move in and receive the first month free and added bonuses up to $1,000 on select suites when you sign a 12 month lease. Awesome neighbourhood. Amazing home. On your terms. With Calgary's newest Beltline rental community, now you can. You're an original thinker. You're independent, a mover, and a shaker. You believe in good coffee, great beer, and buying local. You love life in the Beltline, with all the originality and charisma of 17th Avenue. And now you can have the home that fits. Fifteen15 was designed for you: one block from the shops, restaurants and bars of 17th Avenue. Fifteen15 redefines rental living in Calgary with high-end suite finishes, unrivalled design and amenities that suit your lifestyle. Walk, bike or bus to downtown. It's a home that anticipates your needs, so you can focus on being you. And living life – by your rules. 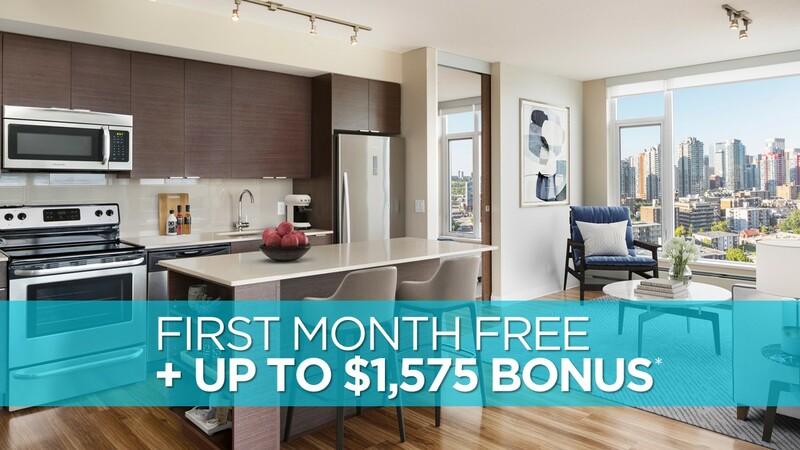 Fifteen15 is smack-dab in the best part of Calgary's Beltline, with all the energy and vitality of this vibrant neighbourhood literally steps from your door. Fifteen15 also offers swift access to downtown Calgary and abundant transit at your doorstep. Did we mention Fifteen15 is blessed with a Walk Score of 97% – and a Bike Score of 99%? It really doesn't get any better than this. Best. Location. Ever. Fifteen15 is professionally managed by QuadReal Residential Properties LP.